Are you looking for ways that your team can work more efficiently? Do you feel that there has to be some app out there that your team can incorporate for better workflow? In the modern times where there are so many distractions competing for everyone’s attention, you are not alone. Luckily for you, there is an app for that; in fact, there are quite a few. These tools can assist with your team’s project management efforts by organizing and automating many tasks. Through the magic of Android and iOS app development, these apps also grant the cloud-based collaboration that these times require. Smooth and efficient project management is now as easy as sending and receiving a text message. There are plenty of productivity apps out there to help keep your team focused. From the automation of monotonous and time-stealing tasks to the organization of team member activities, the following apps are among the best apps on the market. This is a visually appealing and user-friendly app designed to make your workflow more efficient. This app lets you allocate a specified amount of time for tasks. 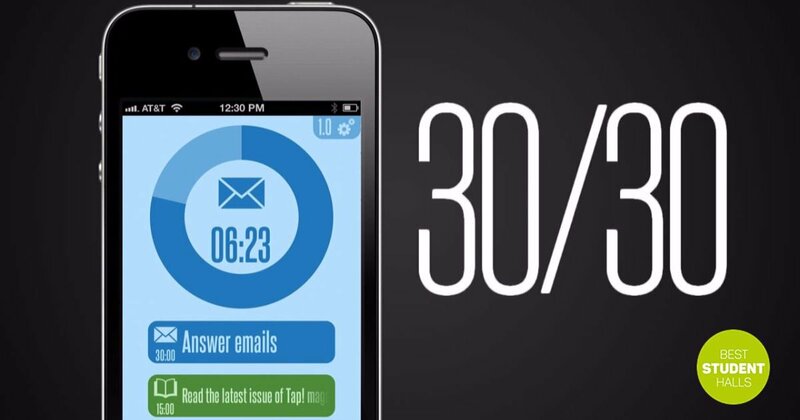 30/30 is ideal for use with those activities that occur daily, like answering emails, placing calls, coffee breaks, etc. This app offers a unique way to build, edit, and deploy web and mobile features, on demand. Mason reduces digital products down to their essence and rebuilds them into building blocks with infinite structure possibilities. This approach is much different than the typical use of mockups and prototypes as a basis for team collaboration. You are only charged for the features view on the web or mobile devices. There are subscription plans available. ActiveCollab is a project management app that assists teams with creating a more effective and streamlined collaboration process. This app gives total control of task management and status tracking aspects of the project. Special access allows for data control based on project assignments and roles. This comprehensive, business-oriented workflow app is designed for Agile projects. It is also a good project management platform for any other project. This app helps your team can manage the entire lifecycle of a project from inception to conclusion. This collaboration tool is ideal for any team size. It doesn’t matter if your team is a couple of workers or an entire team that is spread across a massive organization, Monday.com is a viable solution. Monday.com works just as effectively for non-tech teams as it does for tech teams. This is primarily due to its ability to replace whiteboards, Excel spreadsheets, and the obligatory time-wasting meetings members are forced to endure. Monday.com basically centralizes tasks and improves communications while also speeding up the workflow process. This platform lets users share feedback and ideas, and report bugs using easy-to-read tickets. Teams are able to add visual comments directly to images and screenshots. This app is free for groups with up to 3 members. If your team performance is lackluster and in need of a boost in efficiency the above tools should get your group in gear. The confusion and delays of working as a collaborative team can now be a thing of the past. All of these apps can enhance your workflow and automate your project management process.